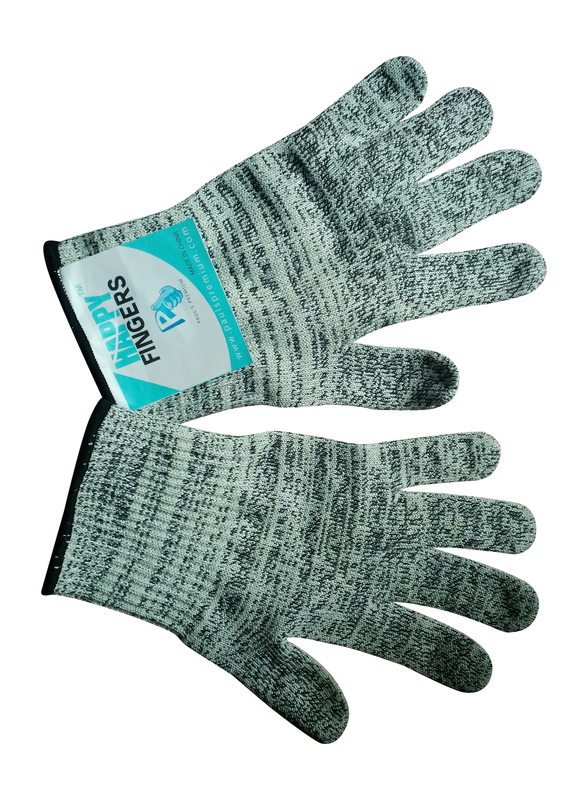 I just got these great cut resistant gloves from Happy Fingers. These are made from great materials, they are thick and really help protect your hands from cuts and burns. They make really great work gloves. You can wear these anytime you need to protect your hands while working. You can use them in cooking, they are safe to use around food. I have used mine for gardening as well to keep my hands safe from twigs and branches. They are not bulky at all so you still function and work even with them on. I love that they are really easy to wash too. You can just throw them into the washing machine or just wash them with soap and water and let them air dry. I just throw mine in the washing machine. These are super versatile and useful gloves. Use them to keep your hands safe while you cook or work! These gloves are made of food grade vinyl: Dyneema, Steel wires, dacron and spandex. They have EN388 Level 5 cut resistance which is highest mark in a cut resistance test. They are antimicrobial, so you can use them safely for food. You can wash them with a washing machine, or just like a dishes with dishwasher liquid and hang to dry dip. They are breathable, comfy, stretchy, fit either hand. Package comes with two gloves, you can use both or one for extended usage. They are cut resistant, not cut proof. Can be used outside of a cooking area as a work gloves. Made to prevent serious injuries while working with sharp items. You will Get 100-day satisfaction Guarantee. You can purchase these gloves on Amazon! Win a pair of these gloves for yourself. Click on the Giveaway image to enter!